Jinkies! It’s a haunted toaster oven! The toaster oven in question. I have no idea how old it is, but it’s…OLD. Whether or not you believe in the supernatural, I think it’s safe to say that you’ve probably had at least one thing happen to you that defies explanation. Do I believe in the supernatural? Yes, I do. I have since I had something I had no explanation for happen to me in college back in 1989 (which is too terrifying for me to write about. I think there’s maybe one interview someplace in which I bring it up, but that’s it); and in 2007, on a dark road late at night, a person in a white runner’s outfit ran in front of my car. I slammed on the brakes, and, heart racing, I leapt from the driver’s seat to find out if the person was okay. There was no person in white runner’s shorts, and there was no sound of the crunching of leaves in the nearby woods. I called “hello?” without response. There was no one on that road but me. No head-scratching experiences since then—until last week. I was with my sister and brother and their families at my aunt’s house for what you might call an early Thanksgiving. In its glory days, the three-family house was the social center of a large Italian family. There were Sunday dinners, all-nighter New Year’s Eves, endless pinochle games, summer picnics in the screen house, fresh vegetables from the garden and jugs of plain awful homemade wine. The generations that were responsible for all of that are pretty much gone, but the house, built very early in the 20th century, still stands. So does a bunch of stuff in the basement. My brother and his family were rummaging around down there, finding things like original Burger King Star Wars glassware in mint condition, century-old cookbooks, and Disney board games no one’s seen since the 1950s. I was standing in the kitchen. Just as I saw them emerge from the basement, I heard the bell on the ancient toaster oven go off. My first thought was that my aunt—who is now suffering from a form of dementia—had perhaps gotten up and come into the kitchen and turned on the toaster oven. I knew, though, that this wasn’t possible—I’d just spent the past hour with her, and she hadn’t moved from her chair. I said something to Maryanne. She said, “Sometimes that bell just goes off.” And it is possible someone could have jostled it earlier in the day, when we were all cooking in the kitchen. Then I touched it, and it was hot. Which would’ve been fine—except that it was unplugged. I called my husband Nathan, who’s a retired paranormal investigator. He gave me a list of things to check, so we all discussed the possibilities: was it sitting in direct sunlight? No. It’s over the spot in the basement where the furnace is, so are the cabinets underneath hot from heat that could be coming up through the floor? No. Did Uncle Lou, who came over to the area a few minutes prior to get a glass of water, use the toaster oven? We asked; the answer was no. Had either of my brother’s sons played with it? We asked; no, and anyway, they were down in the basement the whole time. 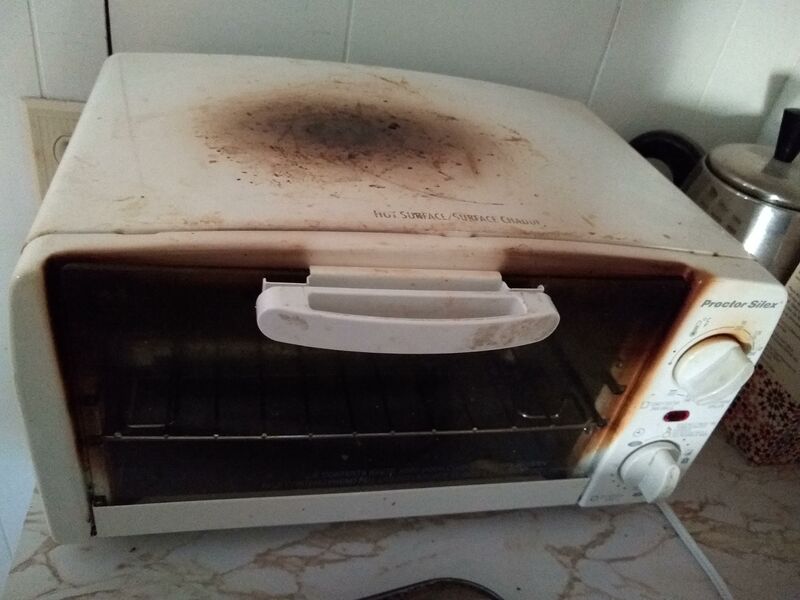 A toaster oven might retain heat. Has it been used in the past twelve hours? No; its last use was two days prior, and no toaster oven retains heat for over 48 hours. Could it have a short? Well, sure, yes, but how does a toaster oven, which doesn’t have any battery back-up, have a short and get hot when there’s no power source? So there you have it. Absolutely no explanation. If anybody has any ideas, I’m all ears. Otherwise? I’m chalking this one up to the supernatural.